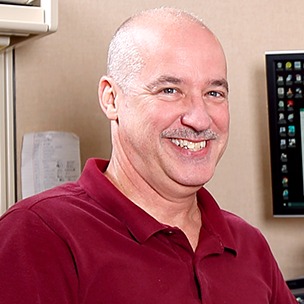 Your tablet PC is great for many uses, but it can be a pain to hold while you're using it. Your tablet PC is great for many uses, but it can be a pain to hold while you're using it. 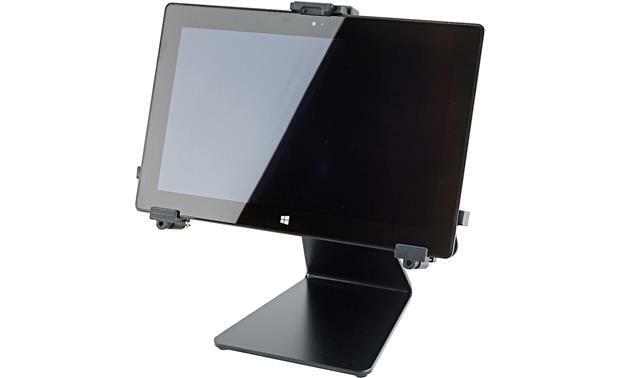 K&M's 19792 Tablet PC holder table stand lets you mount your tablet for easy visibility and hands-free access. 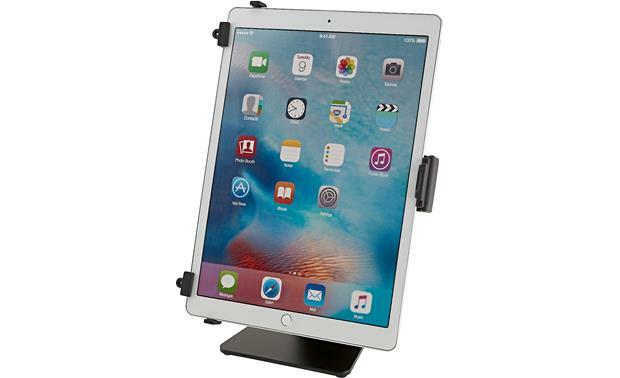 The holder's three-point support arms hold your tablet safely and securely. Once you've adjusted the support arms to fit your tablet using the clamp screws, a snap lock allows you to quickly and simply detach the tablet. 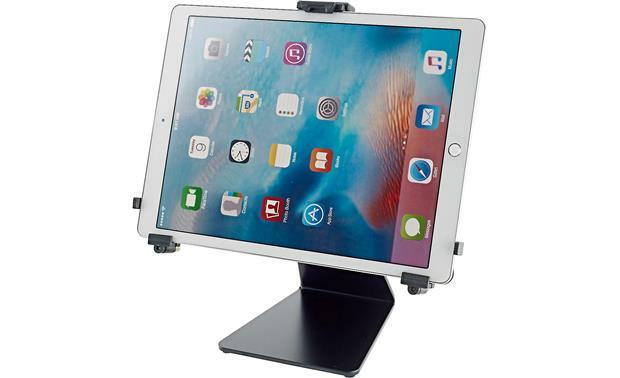 Overview: The K&M tablet holder allows just about any tablet to be securely seated on a table top, counter, or other flat surface. It can accommodate tablets ranging in height from 8.74" to 13.15" and 5.0" to 9.13" wide, making it compatible with just about any tablet including the iPad Pro. 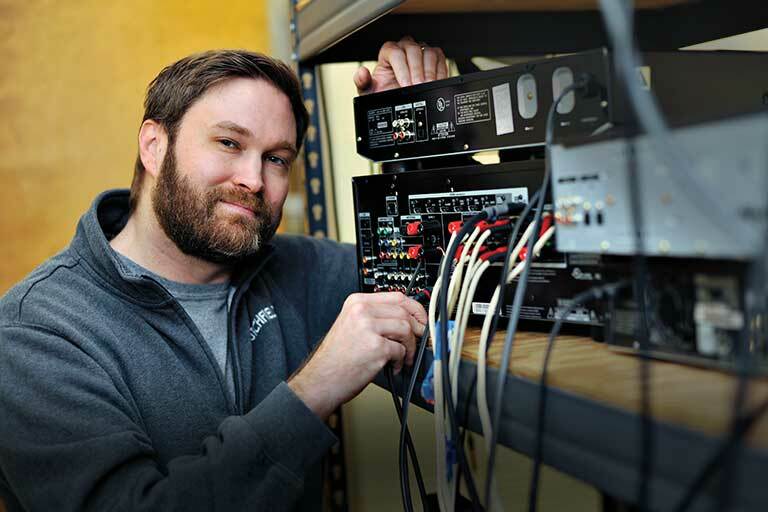 Tightening knobs for each arm allow quick and easy adjustment for height and width while the lower arms include tensioners on each end to hold the tablet securely, accommodating tablets between 0.24" to 0.43" thick. 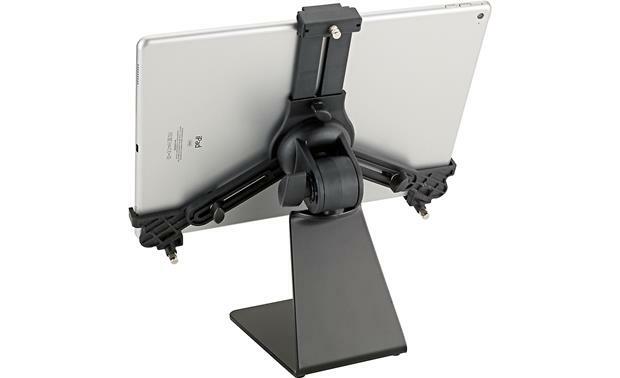 The bracket features a built-in steel base, for a sturdy tablet mount, and includes a knurled tensioner, allowing up to 90˚ of tilt and 90˚ of rotation. This lets you switch the tablet between portrait and landscape modes. 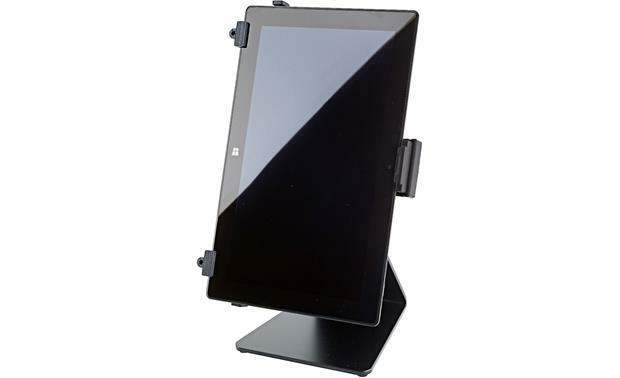 In either orientation, the tablet holder keeps the tablet securely in place and won't rotate on its own. 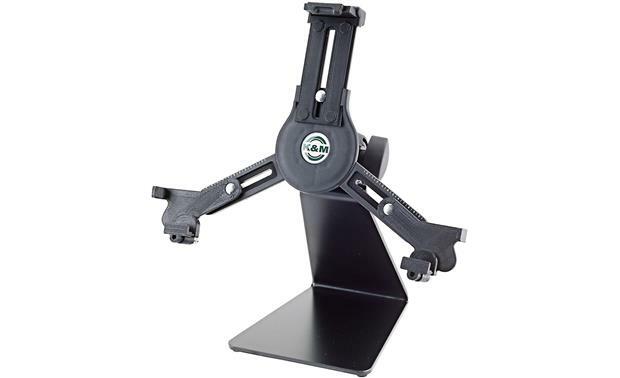 Searches related to the K&M 19792 Tablet PC Holder Universal tablet holder with table stand.